City-in Hostel B&B Catania i Catania, Italien: Reservér nu! 48 hours cancellation notice, after that you will be charged one night. We are fortunate to have a large sunny courtyard where you can find some 'peace and quiet away from the hustle and bustle of the city. Ours is a hostel and B & B really special, where the air is young and bubbly, where one is not only for sleeping but also to have fun and meet guys from all over the world. With us, your holiday will be unforgettable! The City-in-Hostel-B & B wanted to create a movement in his city that would bring travellers from all over the world, who want to discover Catania and its beauty, its smells and its traditions. 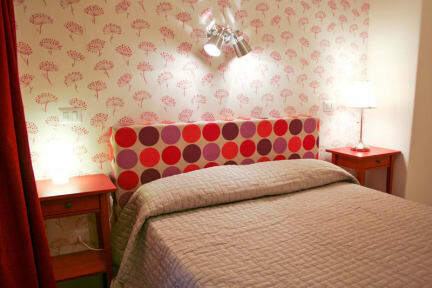 City-in-Hostel-B & B has rooms and independent apartments with all the comforts of a hotel, the warmth of a home and the joy of a hostel at an affordable cost. Upon arrival we will be happy to welcome you with a cup of good coffee or tea, to know and to give you all the news about the city of Catania. You will be given a map of Catania and other documents concerning the possible excursions (do not miss the excursion to Mount Etna), events, restaurants, and any other activities in which you are interested. We are very up to date on cultural events and leisure activities in Catania and we will be happy to inform you constantly. - Create a unique facility of its kind in a strategic location for backpackers and other young travelers from around the world. 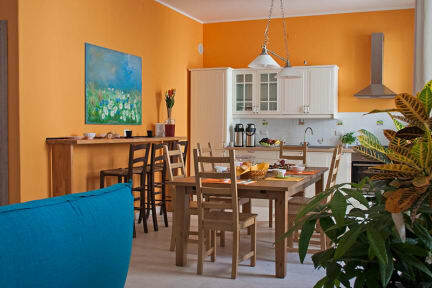 - Provide budget accommodation higher level than any other hostel or small hotel in Catania. - Create a friendly atmosphere.